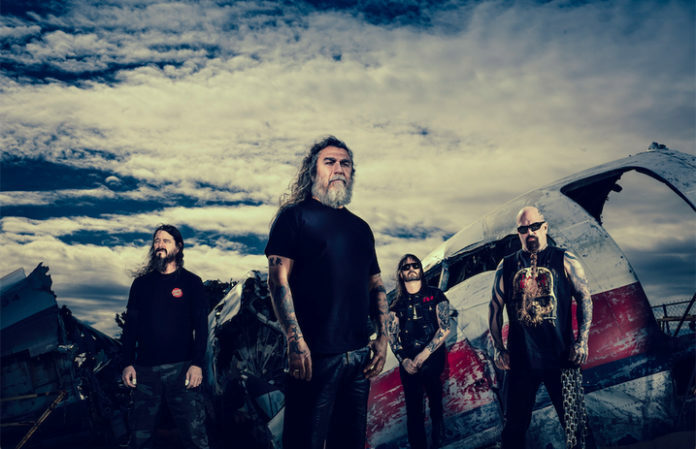 The company that holds the rights to Slayer’s merchandise has filed a lawsuit in order to prevent other sources from selling counterfeit Slayer merchandise following the band’s farewell tour. According to a report from Northern California Record, Slayer’s merchandising company, Global Merchandising Services, asked the U.S. District Court for the Southern District of California to order law enforcement to stop unauthorized vendors from selling bootlegged merchandise outside of the band’s final shows. Slayer are currently on the road with Lamb Of God, Anthrax, Behemoth and Testament for the North American leg of their final world tour.